International cooperation and diplomatic activity of our country is implemented in two strategic directions outlined by the Concept of foreign course of neutral Turkmenistan in 2017 - 2023. It involves the consolidation of bilateral relations with foreign states and active cooperation with international organizations. In 2018, Turkmenistan enhanced its international authority as the state that steadily implements peaceful foreign strategy, democratic reforms, large-scale programmes of social and economic, cultural and humanitarian development. In this regard, the election of Turkmenistan as a member of the UN Economic and Social Council for 2019 – 2021 is very remarkable. It gives new opportunities for improvement of productive cooperation in development of balanced solution of current modern issues. Events on occasion of new stage of construction of Turkmenistan – Afghanistan – Pakistan – India gas pipeline (TAPI), launch of construction of Turkmenistan – Afghanistan – Pakistan power and fibre optic lines (TAP) as well as commissioning of Serhetabat – Turgundy railroad were held in Serhetabat etrap, Mary Velayat and Herat (Afghanistan) on February 23. The President of Turkmenistan as well as the President of the Islamic Republic of Afghanistan, the Prime Minister of the Islamic Republic of Pakistan and the State foreign Minister of the Republic of India who came to our country took part in the ceremonies. The UN Security Council Resolution on Support of International Efforts for Support of Afghanistan, which was adopted on March 8, is very important in the context of the implementation of foreign strategy of the country. The document highlights the importance of the initiatives proposed by Turkmen leader on transcontinental projects especially on the construction of Turkmenistan – Afghanistan – Pakistan – India gas pipeline, Kerky - Ymamnazar – Akina railroad, Afghanistan – Turkmenistan – Azerbaijan – Georgia – Turkey transport corridor (Lapis Lazuli route). The UN Security Council urged the United Nations members to render support to successful implementation of these projects. Therefore, active position of Turkmen State in development of regional and interregional cooperation received significant support from the United Nations. High-level meetings held during official visits of the Head of the State to Kuwait and United Arab Emirates marked new stage in further expansion of cooperation with Middle East countries. Development of the partnership in fuel and energy sphere, petrochemical industry, refinery, manufacturing as well as investment cooperation were the main subjects of the negotiations between the President of Turkmenistan and Emir of Kuwait Sheikh Sabah Al Ahmad Al Jaber Al Sabah. The presence of favourable conditions for development of transport and communication systems has been mentioned, which is able to be another direction of beneficial cooperation. The sides have reached the agreement on the establishment of Joint Turkmen – Kuwait Commission for Cooperation. Ten Inter-Governmental documents have been signed by the outcomes of bilateral high-level talks. Joint document on technical support between the Government of Turkmenistan and Kuwait Fund of Arabic Economic Development has been adopted. Official visit of Turkmen leader to United Arab Emirates have also been very productive. President Gurbanguly Berdimuhamedov had negotiations with the Royal Prince, Deputy Supreme Commander of the Armed Forces of UAE Sheikh Muhammed Bin Zayed Al Nahayan in Abu Dhabi. The sides discussed the cooperation in political, cultural and humanitarian spheres, development of bilateral economic relations. Seven documents aimed at the activation of the partnership have been signed by the outcomes of the talks. Official visit of the President of the Islamic Republic of Iran Hassan Rouhani to Turkmenistan and the talks with President Gurbanguly Berdimuhamedov in the end of March have become new stage in the history of neighbouring relations of two countries. Various aspects of bilateral relations, issues of regional and international agenda have been discussed during high-level meeting as well as the main directions of cooperation in trade and economic sphere, power and processing of hydrocarbons, telecommunications, agriculture and construction have been specified. The sides are also the partners in number of major international projects, for example, in construction of Kazakhstan – Turkmenistan – Iran transnational railroad, which is used not only participating countries but also by other states providing the most efficient railroad routes between Asia and Europe. Proximity of positions in key aspects of international agenda have provided constructive cooperation of Turkmenistan and Iran under negotiation process on Caspian issue. Presidents Gurbanguly Berdimuhamedov and Hassan Rouhani confirmed the willingness to expand the partnership, which has been reflected in Joint Statement and signed documents. Condition and future of Turkmen – Uzbek relations, issues of regional and international politics presenting mutual interest, priorities of further cooperation have been discussed between Presidents Gurbanguly Berdimuhamedov and Shavkat Mirziyoyev at the meeting held during the state visit of Turkmen leader to the Republic of Uzbekistan on April 23 – 24. Trade and economic cooperation was the main subject of the talks. The Heads of the States noted mutual potential in investments, industrial cooperation and agreed to give new impulse to traditional partnership, to aim business structures and producers at joint projects including in small and medium business. Transport section was outline das strategic sphere of cooperation. Having noted the willingness of our state to joint work for establishment of the corridor along Uzbekistan – Turkmenistan – Caspian Sea – Southern Caucasus with the entry to European and Middle East markets Turkmen leader proposed Uzbek side to study the capability of using of modern infrastructure of Turkmenbashy International Seaport. President Gurbanguly Berdimuhamedov expressed the willingness to discuss with Uzbekistan practical requirements for establishment of Central Asia – China railway connection. The work for implementation of the project of supply of Turkmen electricity by Turkmenistan – Uzbekistan – Tajikistan – Afghanistan – Pakistan (TUTAP) route is also carried out. The Presidents of two countries reviewed the opportunities for creation of new forms of multilateral political communication in Central Asian region. Turkmen leader made proposal on the institution of Consultative Council of the Heads of Central Asian States. The agreement to support border relations between neighbouring regions of Turkmenistan and Uzbekistan has also been reached. Significant package of Inter-Governmental agreements has been signed by the outcomes of the state visit. Our country holds an active position in development of conceptual approaches to the solution of global problems of modern time proving it by specific initiatives. This is visually indicated by the participation of President Gurbanguly Berdimuhamedov in International High-Level Conference dedicated to the UN International Decade for Action – Water for Sustainable Development 2018 – 2028, which was held in Dushanbe on June 20. According to Turkmen leader, water range of problems including political, economic and social aspects requires international consensus and consolidation of efforts of the states. Unconditional commitment to the principle of equal and fair access to water resources, which is recognized as fundamental right of human, has to remain as the main condition of joint activity in this direction. During working visit to Dushanbe, Turkmen leader had bilateral meetings with the President of the Republic of Tajikistan, the Head of the Executive Power of the Islamic Republic of Afghanistan and the President of the Islamic Republic of Pakistan. President Gurbanguly Berdimuhamedov made working visit to Kazan on July 6 by the invitation of President of the Republic of Tatarstan, Russian Federation. Turkmen leader has visited Idea Technical Park and familiarized with industrial potential, achievements of leading companies of the Republic at the exhibition organized on this occasion. The sides exchanged the opinions on future expansion of traditional friendly dialog, which rests on historical relations and common spiritual and cultural values. Current subjects of cooperation in trade, economic and humanitarian spheres have also been discussed. Special attention has been paid to the improvement of relations in educational field. 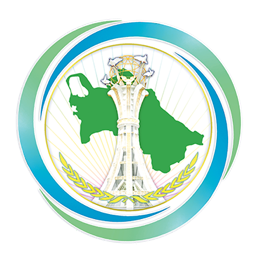 New initiatives proposed by the Head of the State at the Summit of the Heads of Caspian states in Aktau, the capital of Kazakhstan on August 12 have huge importance in the context of implementation of foreign strategy and creation of the climate of respect and trust in the region. Establishment of international legal framework of careful development of sea resources is one of the main aspects of the Convention on Legal Status of Caspian Sea signed back then by the Presidents of Turkmenistan, the Republic of Azerbaijan, the Islamic Republic of Iran, the Republic of Kazakhstan and Russian Federation. Leaders of friendly countries exchanged the views on priority directions of bilateral partnership including in economic, social and humanitarian spheres and discussed the cooperation in international arena. During the meeting in Sochi on August 15, President Gurbanguly Berdimuhamedv and Vladimir Putin exchanged the visions on number of current issues of regional and global agenda, having highlighted the commitment of Turkmenistan and Russia to constructive partnership in the UN and other competent organizations for provision of universal peace and prosperity. Consolidation of efficient cooperation with the countries of Asian region is one of key vectors of foreign course of our country, which is based on the principles of peace, goodwill and constructive international partnership. It was again indicated by the outcomes of the state visit of President of the Republic of Kyrgyzstan Sooronbay Jeenbekov t our country in August and the Summit of the Heads of the States Founders of the International Fund for Saving of Aral Sea (IFAS), which was held in Turkmen coast of Caspian Sea. Bilateral partnership in political, trade and economic, energy, transport, water, cultural, humanitarian and other spheres have been discussed at the talks between the Presidents of Turkmenistan and Kyrgyzstan. It was mentioned that both countries have similar or approximate positions in actual problems of the present. Solidarity of the sides in combating against terrorism, extremism. Illegal drug trafficking and transboundary crime have been highlighted. Number of bilateral documents has been signed by the outcomes of the meeting. The Summit of the Heads of the States Founders of the International Fund for Saving of Aral Sea in the Congress Centre of Avaza National tourist zone on August 24 became another important event of international significance. President of the Republic of Kazakhstan Nursultan Nazarbayev, President of the Republic of Tajikistan Emomali Rahmon, President of the Republic of Uzbekistan Shavkat Mirziyoyev and President of the Republic of Kyrgyzstan Sooronbay Jeenbekov have come to participate in high-level meeting, which was hosted by our country as the Chairing country of the IFAS. Speaking at the Forum, Turkmen leader highlighted that the problem of Aral Seadictates the necessity of new approaches meeting modern requirements. Turkmenistan was following this approach, having undertaken the chairing in the Fund in 2017 – 2019. We have developed the Concept of chairing, which describes in details the main directions of works including for rational use and management of water resources, environmental protection, climate change, improvement of ecological situation in Central Asian region. The Head of the State noted that the problem of Aral Sea has gone beyond local or regional, having called upon the United Nations to support the proposal of Turkmenistan on the development of the UN Special Programme, which activity would be aimed at the stabilization and improvement of the situation in Aral Sea basin. President Gurbanguly Berdimuhamedov has also highlighted that our state always stood for solution of water and environmental issues in Central Asia based on universal standards of international law taking the interests of all countries in the region into consideration and with the participation of international organizations. At the same time, Turkmenistan considers that this is only regional consensus that is acceptable form of efficient interstate cooperation in this matter. This position has been supported by the speeches of the Presidents of Kazakhstan, Kyrgyzstan, Tajikistan and Uzbekistan, who noted the necessity of expansion of the partnership of Aral Sea countries under the IFAS and improvement of the efficiency of activity of the Fund. Joint Communique of the Council of the Heads of the States Founders of IFAS has been adopted by the outcomes of the Summit. It has also reflected international initiatives for consolidation of efforts in solution of ecological issues, which have been discussed during bilateral meetings of Turkmen leader with the Presidents of Kazakhstan, Tajikistan and Uzbekistan in the Avaza Congress Centre prior to the Forum. Multidimensional cooperation with the UN is strategic vector of foreign policy. In the end of September, President Gurbanguly Berdimuhamedov visited New York for the participation in work of the 73rd session of United Nations General Assembly. During the visit, the Head of the State met with the UN Secretary General Antonio Guterres who appreciated active position of Turkmenistan in consolidation of regional and international dialog for solution of key problems of the present. the sides have paid special attention to the participation of neutral Turkmenistan in regulations of the situation in Afghanistan and in solution of Aral Sea problem. Speaking at the 73rd session of the United Nations General Assembly, President Gurbanguly Berdimuhamedov has stated the positions of our country in regional and global agenda and made constructive initiatives. In particular, Turkmen leader has touched upon such issues as regulation of the situation in Afghanistan, necessity of development of the UN Special Programme for saving of Aral Sea, development of cooperation in Caspian Sea, water and energy problems of Central Asia and Implementation of the Sustainable Development Goals in Turkmenistan. Talks between President Gurbanguly Berdimuhamedov and the President of the Republic of Azerbaijan Ilham Aliyev, who came to our country on official visit in November, is another evidence of the efficiency of foreign policy of the Head of Turkmenistan. Expansion of cooperation in political, trade and economic, energy, transport, cultural and humanitarian spheres have been discussed at the meeting. The sides exchanged the visions of the issues of regional and international agenda presenting mutual interest. Joint Statement as well as more than 20 different documents have been signed by the outcomes of the meeting. The partnership under the CIS also meets the priorities of foreign strategy of Turkmenistan. It was indicated by the working visit of President Gurbanguly Berdimuhamedov to Saint Petersburg for the participation in informal meeting of the leaders of the Commonwealth’s countries on December 6. The Heads of the CIS countries exchanged the opinions on key aspects of cooperation as well as on number of international subjects presenting mutual interest. Having undertaken the chairing of the Commonwealth of Independent States in 2019, Turkmenistan aims to provide comprehensive support to traditionally friendly interstate relations. For this purpose, the Concept of chairing of our country and the Action Plan of its implementation have been developed and presented to the CIS Executive Committee. The Concept outlines the consolidation of trust between the states, support of stability and security, enhancement of political and diplomatic collaboration, improvement of cooperation between the CIS and international organizations including the UN and OSCE, formation of the conditions for activation of trade and economic relations, integration to the world economy as the priorities. Great importance is given to the activation of the cooperation in humanitarian sphere. Numerous meetings of President Gurbanguly Berdimuhamedov with official representatives of foreign states and international structures, heads of competent organizations, various foreign companies and diplomatic missions accredited in the country have been held last year. At present time, Turkmenistan has established and has diplomatic relations with 146 states of the world; it is the member of 47 international organizations, 38 embassies, consulates and permanent representative offices of our country work in foreign countries. The Ambassadors of Turkmenistan also represent our state in dozens of other countries officially. At the same time, 35 embassies, consulates and representatives of 15 international organizations permanently work in Turkmenistan. Last year, the country has joined five international conventions, having become the member of 150 multilateral documents. Therefore, exclusive important political events of national and international significance of the last year reflected maximum involvement of Turkmenistan to the global system for the most efficient use of geographic political, economic, resource and human potential of our country.